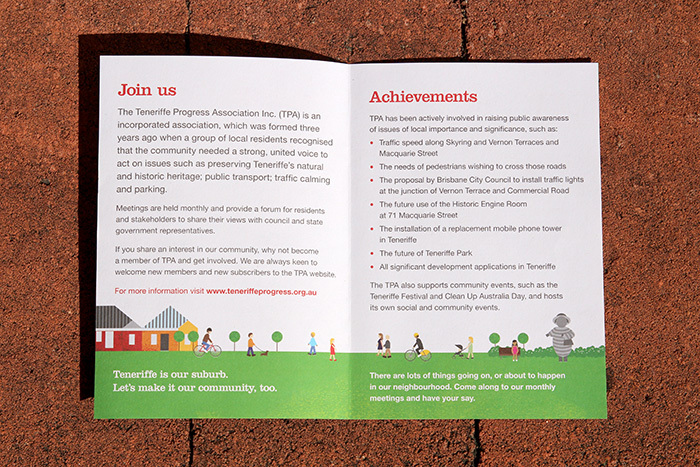 The Teneriffe Progress Association (TPA) was established to protect the character, amenity and streetscape of Teneriffe; providing a forum for residents and stakeholders to share their views with council and state government representatives. 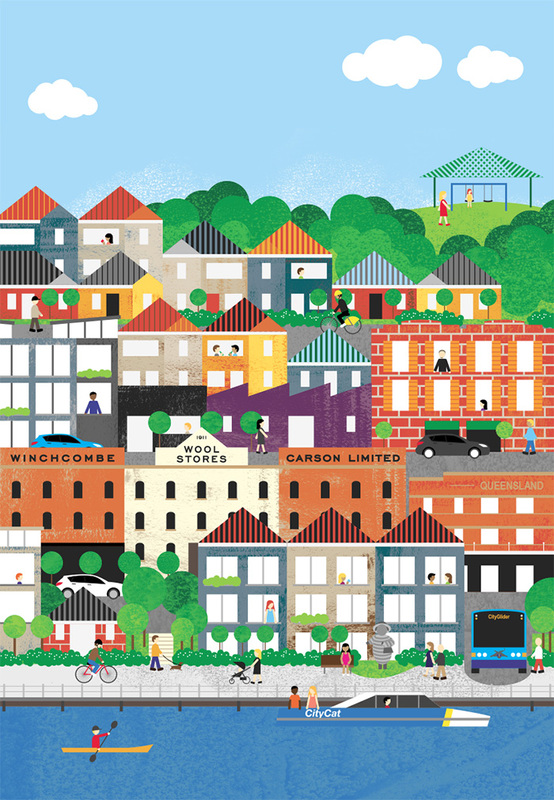 A colourful illustration capturing modern life in one of Brisbane’s most historically significant suburbs, was created to fill the front of a small flyer that was distributed at local coffee shops and at the Teneriffe Festival. 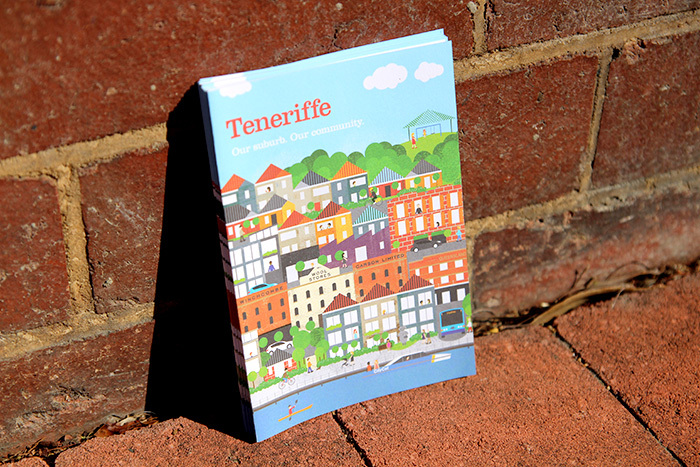 Being a computer-based artwork, elements such as buildings and people can be used separately, or reconfigured, forming a visual identity that has the flexibility to work on a range of formats. Liesbeth’s creative thinking and initiative helped lift the credibility and membership of our group.